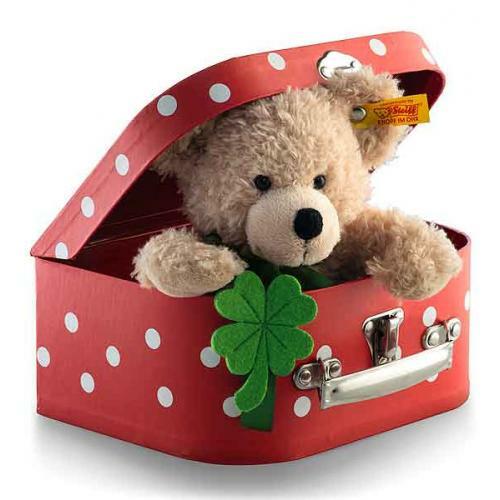 Steiff Fynn Teddy Bear in Suitcase from the best for kids childrens range, is made in beautiful soft beige plush. 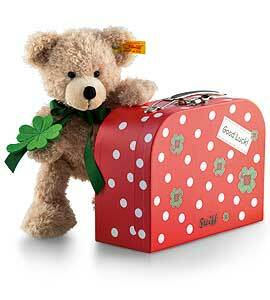 Fynn Teddy Bear in Suitcase wears the famous brass plated Steiff button in ear and carries the yellow ear tag. A wonderful Steiff Best for Kids piece, machine washable. Size 24cm. CE marked.